Thanks to my buddy Kathy at usgwp.com, I’m now onto the fact that Costo.com is a top destination for unpredictable beauty deals. 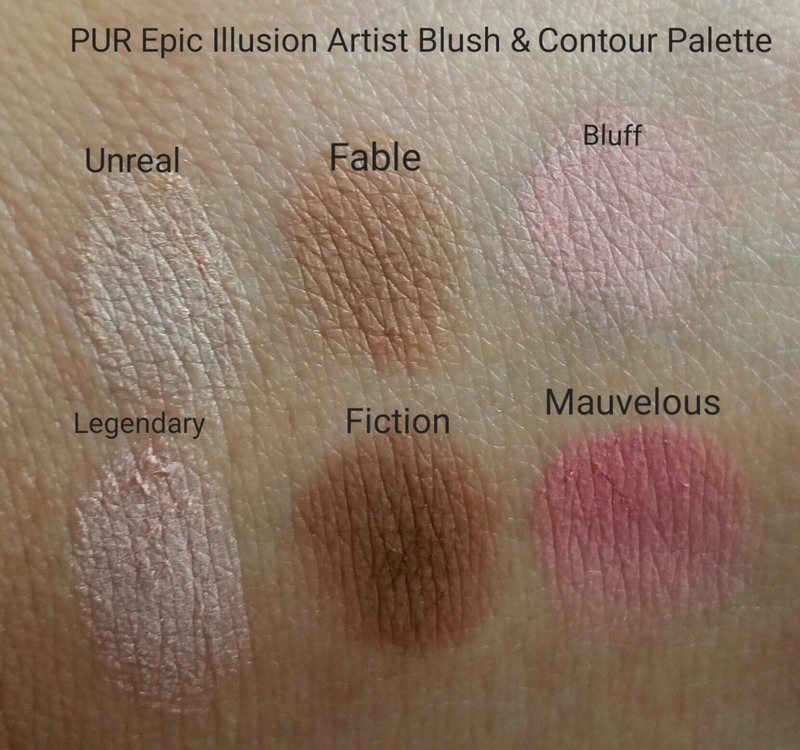 While scouring the beauty section of Costco.com I found this Pür Epic Illusion and Artist Blush palette for $16.99 and was so excited (no longer available from Purminerals.com). Unfortunately it arrived with a broken color, but that didn’t stop me from trying it out while I wait for a replacement. 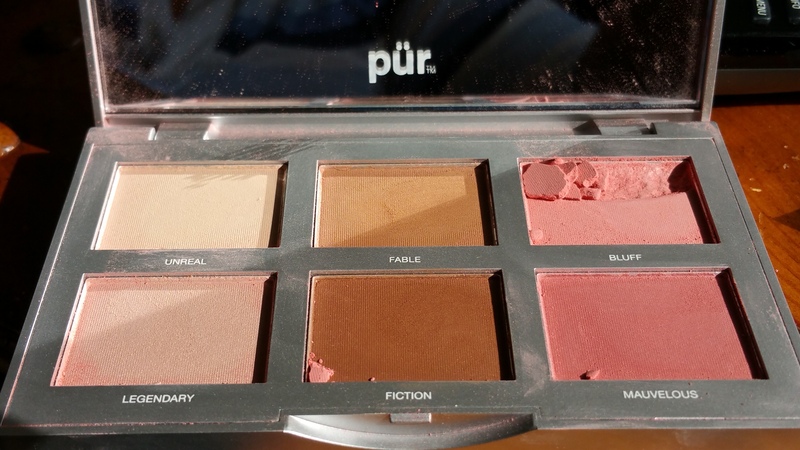 I’m drawn to Pür because of its “core values” of being cruelty free and skin friendly. This doesn’t mean that all of its formulations are necessarily in line with “my natural” standards, but on the other hand they’ve surprised me with their excellent mascaras that are petroleum free. So I’ve been wanting to try more of their cosmetics for a while. 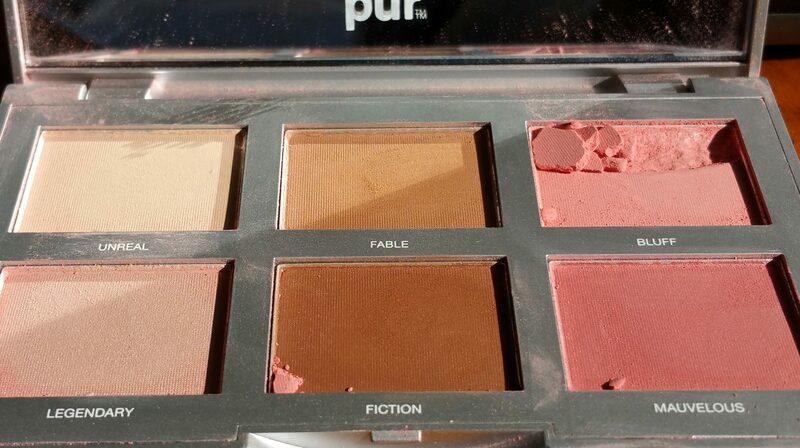 This blush and contour palette has 6 very wearable colors. I think I will actually use all of them individually, which is a huge deal for my track record with palettes. 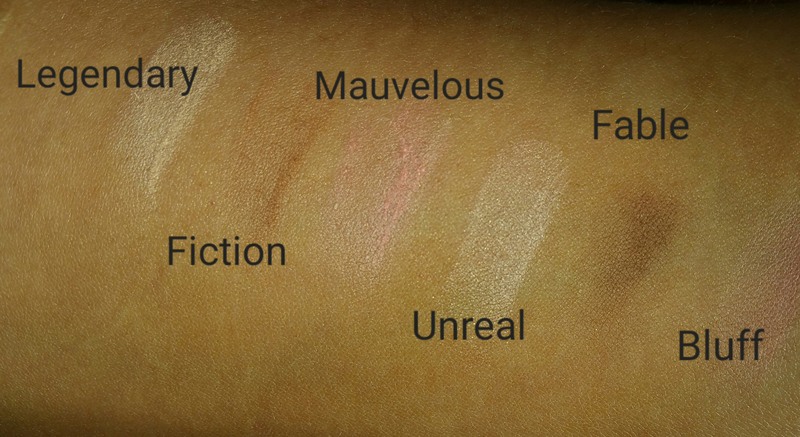 My only complaint so far is that I wish the bronzer colors, “Fable” and “Fiction,” were larger so I could fit my bronzer brush in the pans. Otherwise the palette is well done, with a usable, full sized mirror. This is a palette I could see having in my purse and definitely could take for traveling. I end up using products more when they contain a mirror. This doesn’t come with makeup brushes, so you’ll need your own. That’s just fine with me. Unless this is your only face makeup you probably have lots of your own powder brushes, like I do. 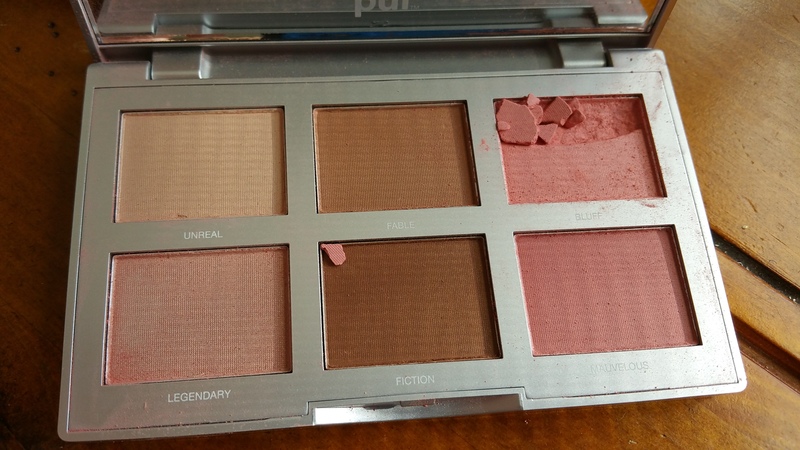 Let’s look at this beautiful (but damaged) blush and contour palette. So, what do you think about Pur? Have you had good experiences with their makeup? I’m curious to hear from you!